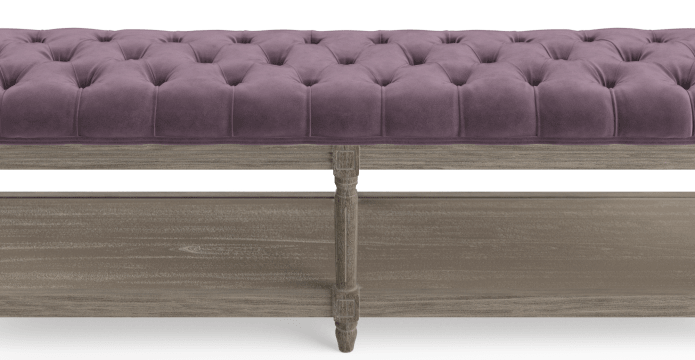 The Petite Fleur Ottoman is a gorgeous French Provincial beauty, that features intricate tufted detailing and carved woodwork. Add an instant sense of glamour to an interior with this piece, which looks great in any room of the home. 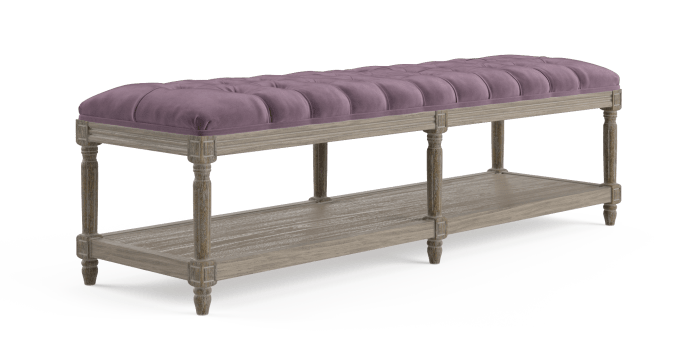 The Petite Fleur is as practical as it is pretty, featuring a plush comfortable seat and lower shelf to store and hold items. A dense filling makes it ideal as a seat or footrest. 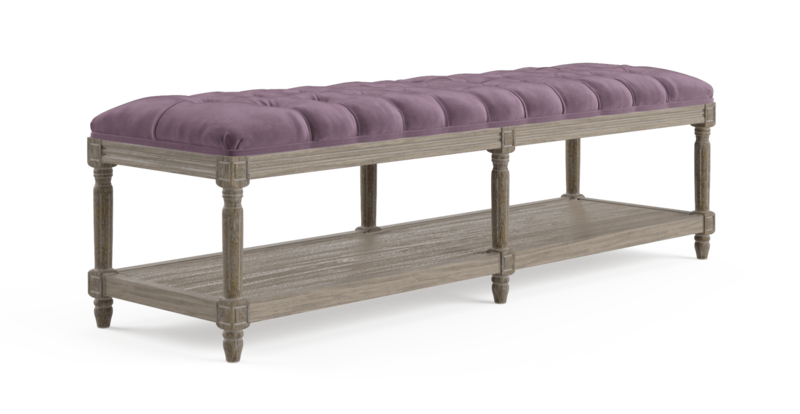 Shop more ottomans and benches available from Brosa. Built with a solid oak frame, the Petite Fleur has intricate carved details that makes it uniquely stylish. The wire brushed wax finishing adds a rustic touch and completes the look. Match the Ottoman with the rest of the Petite Fleur Collection, which includes a selection of matching dining chairs, and comes in a range of premium colours. The furniture is high quality and unique. Fabric options are fantastic. The delivery service was great. We visited Brosa in Melbourne and the pre sales service was wonderful. Then, when we finally bought two Ottoman sofas we were delighted with the quality. We are even more delighted that you now have an office in Sydney where we live. The furniture ordered was of the highest quality and for a great price compared to similar products from other suppliers. Good service and good quality products. The item was not flat packed. I liked that. Quality and price is fantastic. Will buy again myself. Was just telling someone about your products this morning. See, touch and feel our fabrics used on our Petite Fleur Ottoman. For Free! Simply select up to 3 fabrics and add them to your cart. Delivery is on us. Good news! 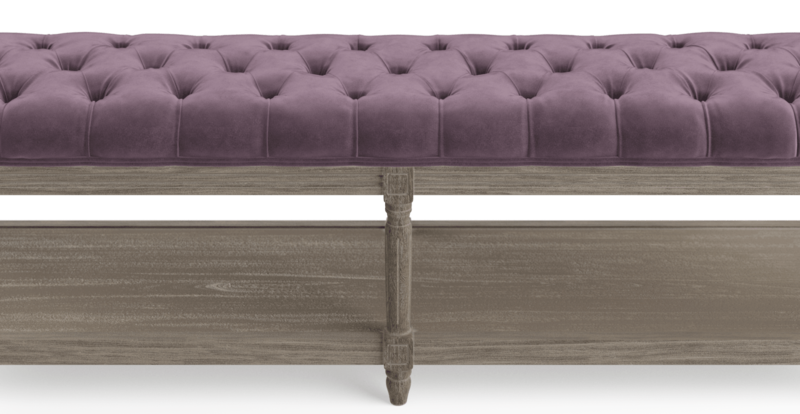 Petite Fleur Ottoman is currently on display in our Alexandria Collingwood studio.